AirFlow Breeze Baseboard Booster Fan - Airflow Technology, Inc. The AirFlow Breeze Baseboard Booster fan works with your existing central heating and cooling system, drawing additional air to the problem areas in your home. The AirFlow™ Breeze Baseboard Booster Fan keeps a room comfortable by increasing the flow of warm or cool air with thermostat-controlled fans. 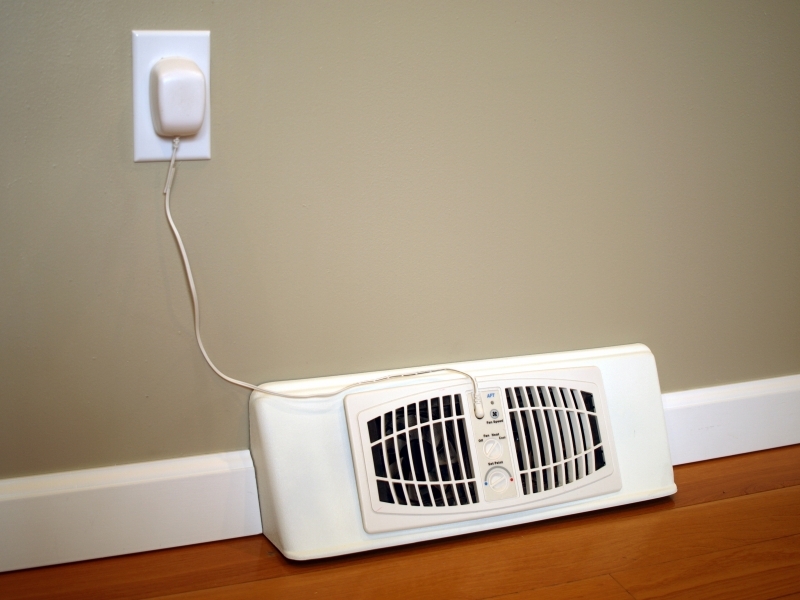 Easily attached to your wall to replace your current baseboard register vent cover. The AirFlow Breeze baseboard booster is 18" in length. 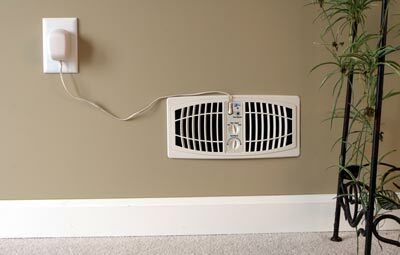 This unique configuration combines the 4"x10" AirFlow Breeze with an angular frame to allow it to be installed in place of your 18" baseboard register. You need to upgrade to Flash Player 9. Click above to watch Register Booster Fan video. The AirFlow™ Breeze Register Booster Fan provides an affordable and easy way to have a comfortable room temperature anywhere in your home.